And when he actually talks to girls. Just wow! How does he do it?! @Richard Cypher, *Too hot *Too cold *Y U so much!? *Odd angled jets of discomfort *James Bond: perfect. First time, every time. Because it's a movie. 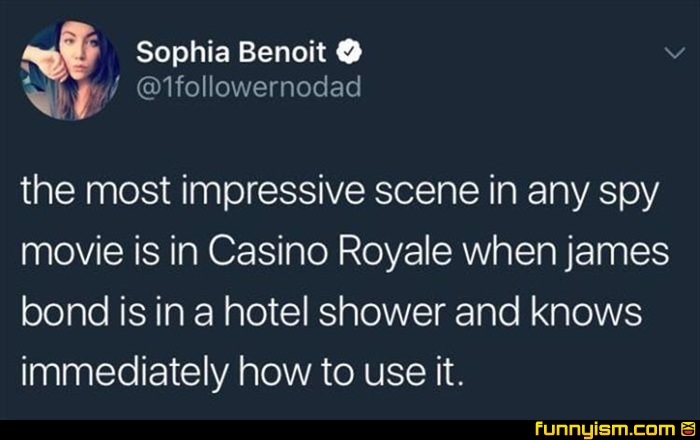 I like the part where they play with his balls.